Did you know that a clothed snowman melts more slowly than a ‘naked’ one? While we’re at it, did you know that a superheated jawbreaker can explode when bitten down upon? Or that a filling a football with helium will not make it fly further? For years, one of my guilty pleasures was the TV program MythBusters – a science entertainment program (no, not an oxymoron) that ran for 14 years, uncovering eternal mysteries like the ones above. In each episode, the show would take on a different myth or urban legend to find out which were true and which were not. While watching a recent episode, I started thinking that here at SharpSpring we are busting a few myths of our own when it comes to marketing automation. Read on to see what I mean. Disclaimer: There are no explosions below. On the surface, this baby seems true. Why? Well, there are a few big players in the industry that charge exorbitant fees, and they dominate the conversation with their overinflated budgets. (Rhymes with SubHot and Parketo.) 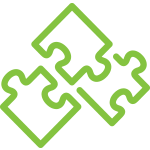 If you dig deeper, though, you’ll find that platforms like SharpSpring offer affordable marketing automation that is feature-rich, reliable and robust. After seeing a demo of SharpSpring, most people are truly surprised that an affordable alternative to HubSpot even exists, let alone matches up basically feature by feature. SharpSpring is literally 1/10th to 1/20th the cost of other platforms. This one is really just outdated. It’s true that in the early days of marketing automation, only big companies could get in on the action. The first platforms were expensive and complex, so they required a significant monetary investment, plus the staff resources necessary to operate them. You could easily be looking at cutting a check well over six figures for a 1-2 year contract paid upfront, and assigning 3-5 resources to the project. That level of commitment is only realistic for Fortune 500 companies and the like. Since those early days, platforms have evolved considerably. Newer offerings are more user-friendly with intuitive user interfaces, including point-and-click and drag-and-drop features that allow all types of marketers to easily create automations with workflows and triggers. For instance, in SharpSpring, it doesn’t require any knowledge of code to create a blog or a series of landing pages (e.g. a funel. Plus, a typical user can easily add in dynamic content that responds to a lead’s attributes – without writing code. 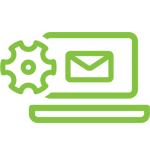 When marketing automation platforms began incorporating simple, user-friendly interfaces, it made them a reality for marketing agencies of all sizes and for small-to-mid-sized businesses with small marketing teams. Support needs to be unlimited and 100% free – period. There’s nothing worse than encountering a software issue when you are facing a deadline and not being able to freely reach out to someone for help. I just need to walk down the hall to the SharpSpring support team to prove that this myth is blatantly false. 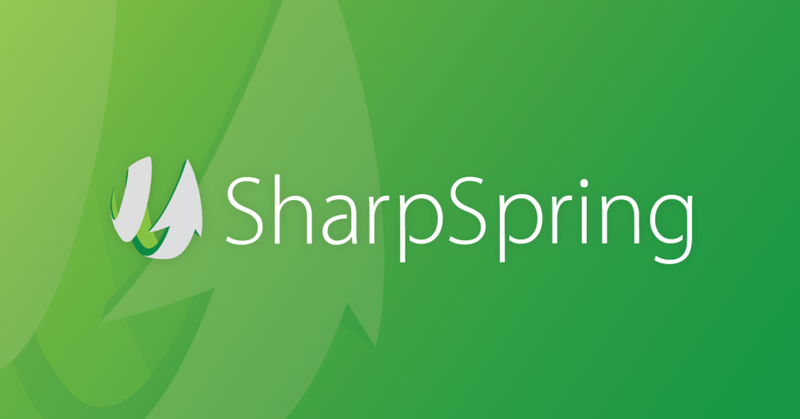 SharpSpring’s support team is super-responsive to customers, and they continue to impress me with the depth and breadth of their knowledge of the platform. SharpSpring breaks the support team into specialized groups so that user questions are routed directly to the people most qualified to answer them. This is a highly efficient approach that leads to better outcomes. In fact, SharpSpring’s average initial response time is under 1 hour and average resolution time is under 10 hours. So maybe my disclaimer about the explosions was wrong. Maybe I have ‘blown’ your mind with affordable, powerful marketing automation from SharpSpring. Jump on an informative demo today to see some of these great features in action, and then check out our competitive pricing.